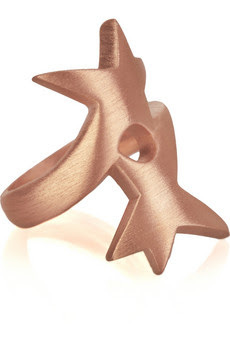 This rose gold-plated ring has such a beautiful luster to it! Love the double stars, for some reason it's giving me an oceanic, star fish vibe! Buy exclusively at theOutnet.com for $35.